It’s mid-afternoon and I’m searching for a Starbucks to get my daily caffeine fix. I’ve just passed a McDonalds and as I turn the corner I see a sign for the “World’s greatest chicken” next to a sign for Starbucks. Sometimes known as a Gambler, Kenny proclaims to be a “Kentucky Man” on his Christmas album ‘Christmas in America.’ Certainly a Kentucky Man knows how to cook chicken – especially when they co-found a company with the former CEO of Kentucky Fried Chicken. 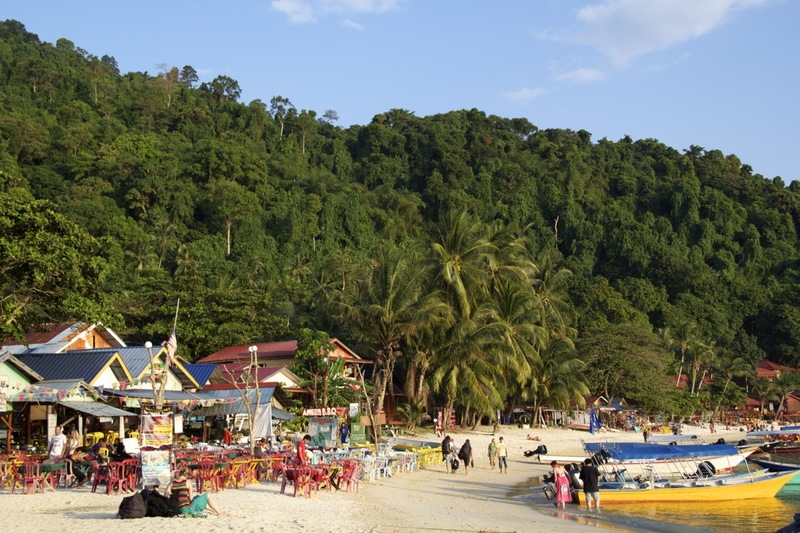 My initial idea was that I would stay on the Perhentians for three nights. Maybe if I heard good reviews I would hop on a boat and stay a few nights on the larger island for a day or two. Ultimately I stayed for five nights due to a strange combination of terrible accommodation, the bus schedule, and having a pretty good time. Below are some stories and pictures about my time on Kecil. The Parhentian Islands are a chain of islands off the northeast coast of Malaysia that make up the Pulau Redang National Marine Park. The marine park has four islands, but two are extremely small and uninhabited. The others are aptly named “Big” and “Small”. In Malay, Parhentian Kecil means “Small Parhentian” and Parhentian Besar is “Large Parhentian.” The two islands have contrasting reputations – Kecil is known as the cheaper and more backpacker friendly party island while Besar is known as the more expensive and family friendly resort filled island. For the last five days I’ve been staying on Kecil. Beachside rooms and crystal clear water – Welcome to the Parhentians. The islands are easily accessible by boats that serve as water taxis and run like clockwork. Three times a day the boats go to the islands, and three times a day the boats pick people up from the islands. All boat tickets are sold as ‘return’ tickets, meaning you pay 70 Ringgit (roughly $23) and receive tickets for both directions of your trip. In addition to the boat, you’ll need to pay a 5 Ringgit Marine Park entry fee. After taking care of your ticket and admission fee – you’re set to go. Why go to the Parhenthian islands you may ask? It should come as no surprise that an island has a number of beaches. 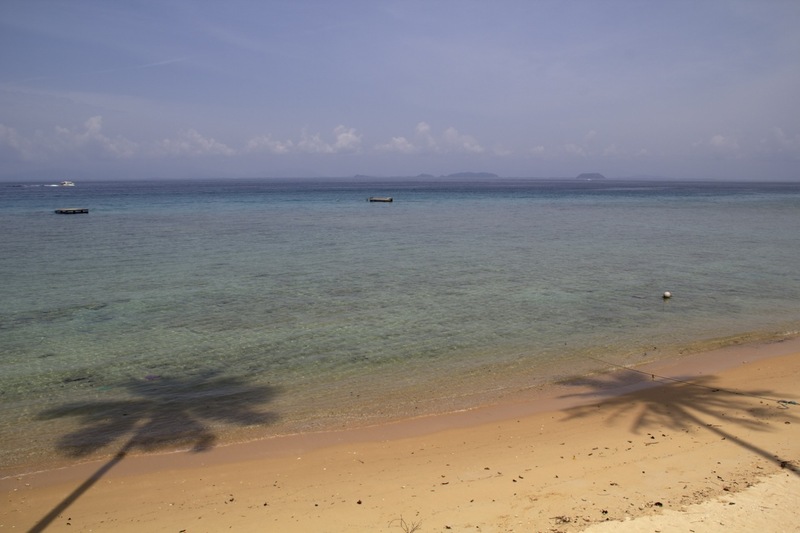 There are two primary beaches on Kecil, which means there are only two beaches where you should expect to find anything from a lounge chair to someone selling bottles of water. The largest and most accessible is ‘Long Beach,’ which at it’s busiest has no more than 300 people lounging around. Others like ‘Romantic Beach’ require a 30 minute hike but you’ll most likely have the entire beach to yourself. Once on the beach there are only a limited number of things to do: Read and Relax. Or, if you’ve planned ahead – Snorkel. The visibility continues to be crystal clear even at deeper depths. All around the island you can rent a snorkel and mask for 5 Ringgit. You can pay another 5 if you’d like fins too. Essentially, this means that for $3 you can go snorkeling for as long as you’d like. Snorkeling around Parhentian Kecil is the cheapest activity you can do for hours at a time, and the snorkeling is actually fantastic around the beaches. No more than 20 feet off the shores of one beach in knee deep water you can swim around and find baby blacktip sharks. Swim out deeper and away from the beach and clownfish and a host of other fish are waiting to be discovered. As you’re swimming around, don’t be surprised if you come across a few grown up blacktip sharks too. These sharks can grow to roughly 1.5 meters long and are typically wary of humans. The sharks aren’t the most concerning thing underwater – Titan Triggerfish roam the waters and are extremely territorial. They also have sharp teeth. On most days when the sun is out the visibility while snorkeling is fantastic and you’ll have at least 15 meters of visibility – meaning that nothing should ever sneak up on you if you pay attention. 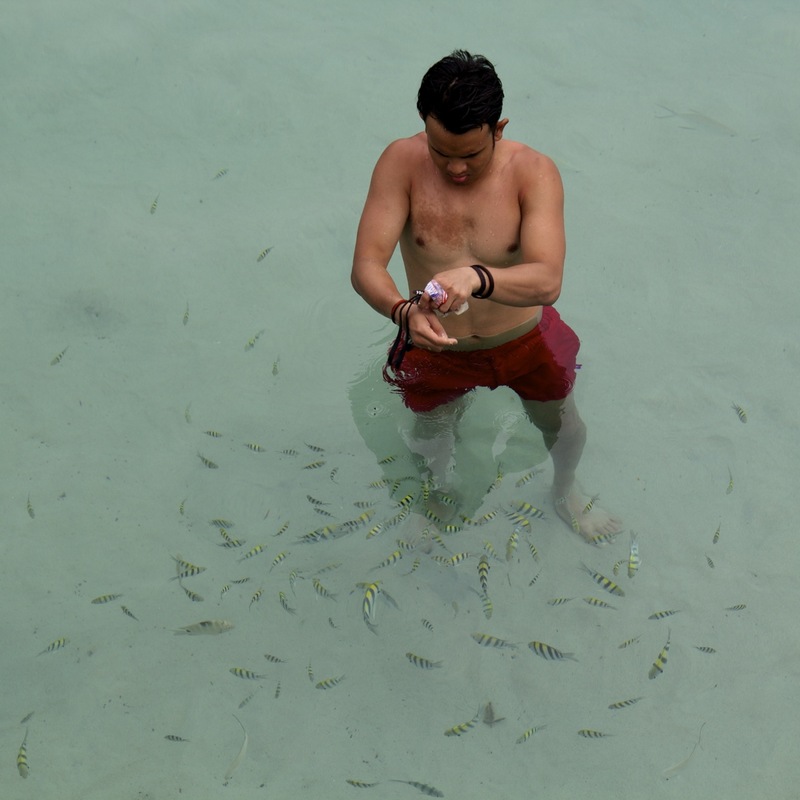 If finding your own beach to snorkel at isn’t your idea of a good time, there are numerous shops offering snorkeling day trips that will take you to six sites (one being a stop for lunch at a local village) for 30 to 35 Ringgit ($10-12). The smaller beach on Kecil. (Coral Beach) You can see all three of the main BBQ places on the left side of the picture. If snorkeling isn’t the way you want to experience the underwater life around the Parhentians – Scuba diving is the way to go. On Kecil there are roughly 10 dive shops that run boats three times a day to the 30+ sites around the two islands. Prices across the dive shops are nearly identical – ranging from 70 to 80 Ringgit a dive with discounts depending on how much diving you do. The most famous dive sites around the Parhentians are the Vietnamese Wreck, Temple of the Sea, T3, and the Sugar Wreck. Most of the dive sites are accessible to Open Water divers and very few are deep dives. This also means that, if you’re an experienced diver, you may find yourself getting frustrated with new divers who prefer to be vertical instead of horizontal. Conversely, get into a small dive group with an extra DM or DMT and they’ll be happy to spend 55 minutes taking your tank down to 40-50 Bar and really enjoying the dive site. These two shadows were the closest things to being ‘other people’ on this specific beach. Finally, the last reason to visit the islands is to completely get away from whatever you were doing before you arrived on the island. On Kecil there are no more than 10 wifi spots that appear to all be sharing the same 14.4k island modem. The internet cafes offer only a slightly faster connection – which is to say that Facebook might actually load in under 10 seconds. It’s possible that the larger, more ‘grown up’ island offers better internet connectivity, but I wouldn’t bet too much on that idea. It’s best to assume that once you leave the jetty on your way to the island that the only things you have to concern yourself with are where you plan to snorkel, which BBQ place you’ll dine at for the evening, and how long its been since you last applied your sunscreen. Unfortunately on this night these clouds came in and ruined the sunset. Visiting the island is a great way to spend a few days, just don’t expect to completely fall in love with the surroundings. For all of the positive things the island can offer, there are a number of negative ones that come along with the good. Accommodation on the island is either cheap dorm rooms, run down beach bungalows, or VIP deluxe rooms with A/C. The number of places to stay that fall in between the two sides of the spectrum are few and far between, and typically taken by people who arrived on the island before you. The variety of food on the island comes primarily from which type of noodle you plan on eating with your meal, or which BBQ place you plan to eat dinner at for the evening. Mosquitoes. 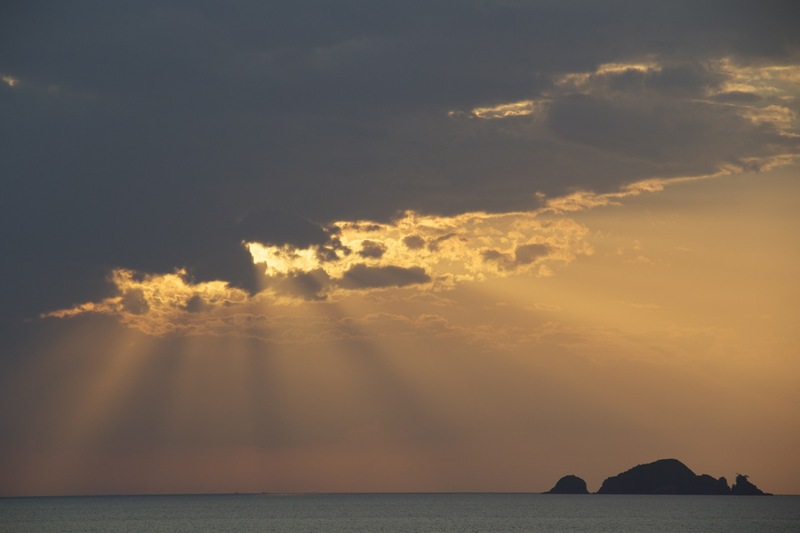 None of this is to say that visiting is a bad idea – the islands are great – just in small doses. In Malay, Parhentian means “stopping point” as the islands were used by traders traveling the islands in between Bangkok and Malaysia. I think this is exactly the right way to view the islands. Stop for a few days, but don’t plan on staying. Today I learned: George Town, the capital city of the state of Penang is located on the island of Penang, which is due east of Butterworth, was named after Brittan’s King George III.